There are some books that change your life. They touch you in a way that makes you see the world differently and leaves an impression that will last a lifetime. The book for me that made this huge impact is celebrating it's 65th anniversary. That little spider who whispered "salutations" from the doorframe is 65 years old today. 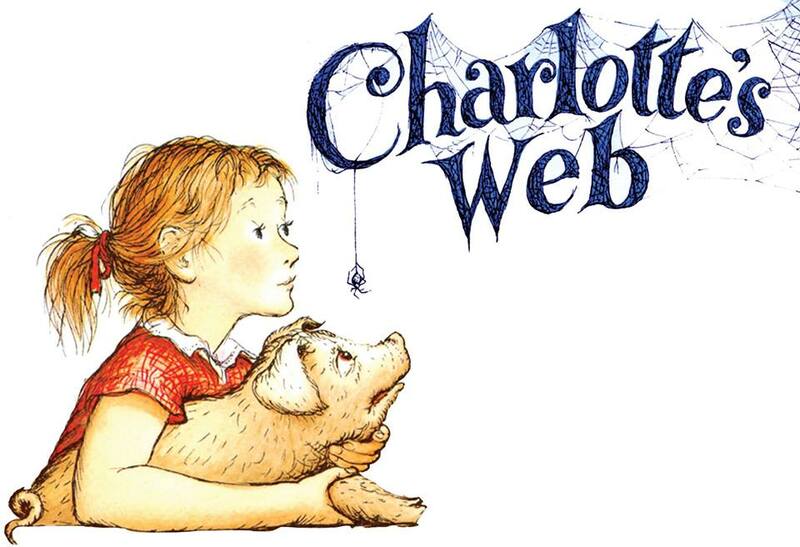 I first read Charlotte's Web by E.B. White in my final year of primary school. We read it as a class study and I vividly remember being excited designing a pig pen for Wilbur, and making pom-pom spiders, and choosing a new stuffed toy pig and naming it Wilbur. But it was the little spider who reached out in friendship to help someone in need that left an impression on me. We all need a little kindness, and our actions, however small, can make a difference. I loved it. I was later re-introduced to these beloved characters again when reading the story to one of my classes. And this time I got to see the magic unfolding for little ones. I got to watch them make the connections about love and kindness and friendship and enjoy all the little giggles afresh along the way. We made pom-pom spiders, threaded spider webs, designed pig pens and lots of other fun and I brought Wilbur along to class to be the mascot. Again I loved it. Around the time I read it again with my class, I shared with them that I was expecting (not-yet-named) BookBairn. "If it's a girl, you should call her Charlotte!" one little girl suggested. And I thought, we should. So we did. My beautiful, clever and kind little girl is named after that beloved spider. I hope that she will be as kind and gentle and strong and mighty and friendly as Charlotte the spider. Recently, we watched the film adaptation of 'Charlotte's Web' together. And BookBairn declared "the spider is called Charlotte like me!" I can't wait to read the book with her. To watch that magic unfold as she learns how someone small, someone who others often disregard, someone misunderstood can be the hero of the story. I hope she will be the hero of her own story. And as I read it again today, I realise that E.B. White was also trying to show the power of words. In four individual words, Charlotte challenged the norm, she fought the system, she stood up for what she believed in. The world needs voices like that. We need more Charlottes. "With the right words you can change the world." E.B. 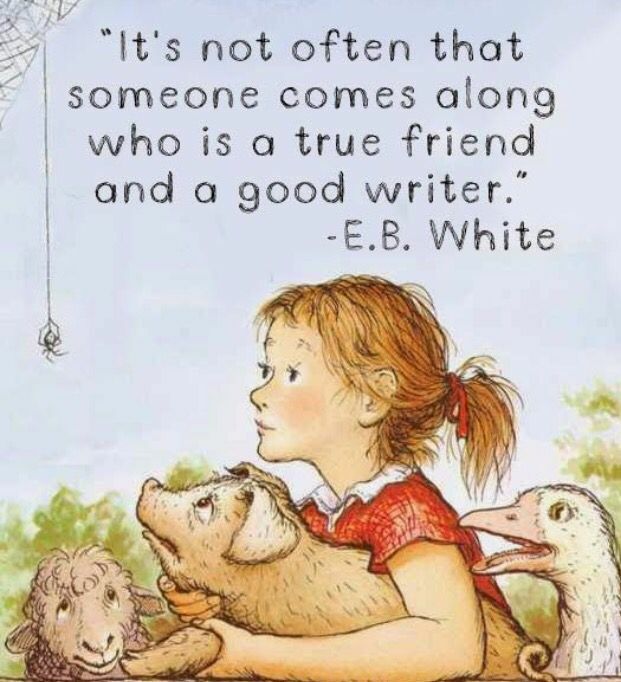 White, Charlotte's Web. Thank you Charlotte for speaking up, for helping your friend and in doing so you changed my life too. Happy anniversary! 65 years young and still changing lives. 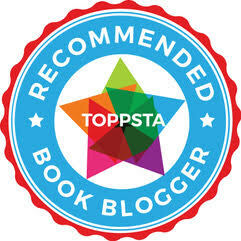 Is there a book that changed your life? That left a lasting impression? Thanks! It really is an important book for me! Recently I said to BookBairn that she was "a silly cookie" and she said "No I'm not, I'm Charlotte". Great book. Great character. And she is! She tells me all the time now!